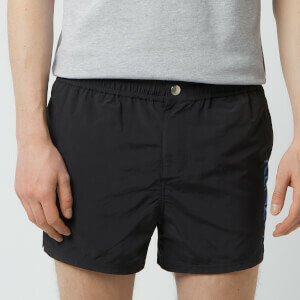 Black running shorts from technical activewear specialists, LNDR. The 5” 'Run' shorts are crafted from ultra-lightweight, two-way stretch fabric for full freedom of movement when running. Quick drying, moisture wicking fabric keeps you cool and comfortable. Main Fabric: 86% Polyester, 14% Elastane. Lining: 100% Polyester.